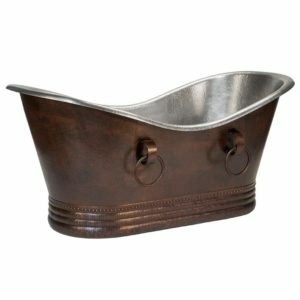 Uncompromising quality, beauty, and functionality make up this Premier 67″ Hammered Copper Double Slipper Tub With Rings. 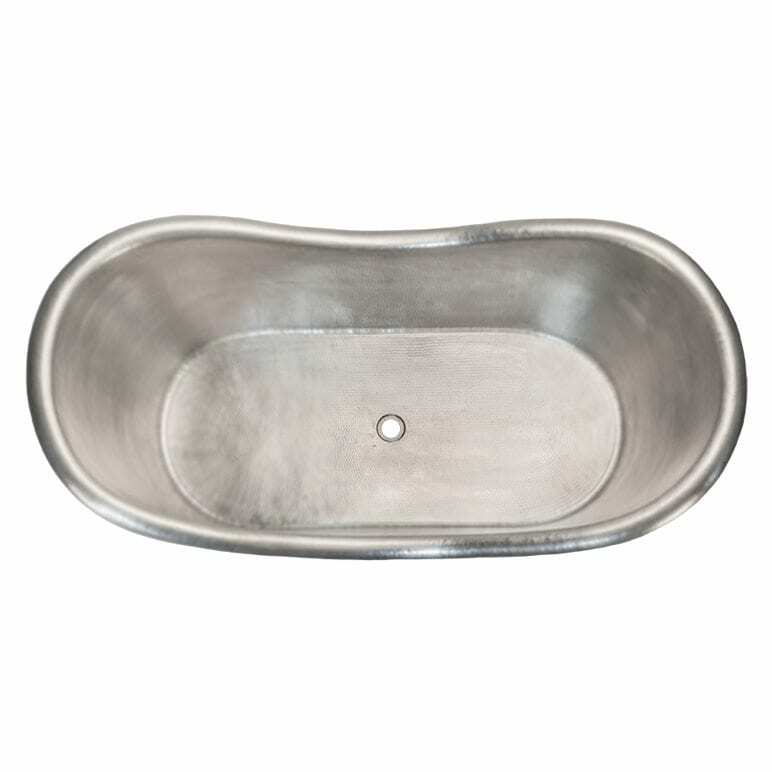 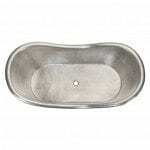 This unique copper bath tub comes with a Nickel Interior and an Oil Rubbed Bronze Exterior. 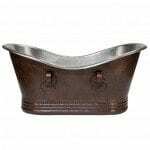 * Color: Nickel Interior with Oil Rubbed Bronze Exterior.